During a nine-day residency, participants learn the essentials of business ownership from UCLA Anderson faculty and established entrepreneurs. Over the course of their service, military personnel often develop many of the traits required of successful entrepreneurs, including resilience, focus and leadership. 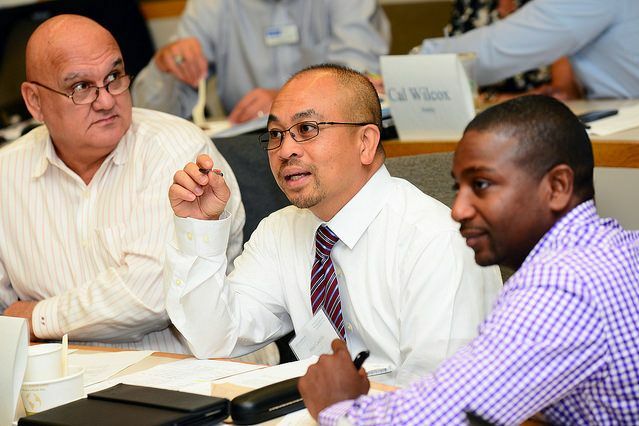 On July 11, a group of veterans with disabilities will arrive at the UCLA Anderson School of Management to build upon those traits and learn the basics of business ownership during the Entrepreneurship Bootcamp for Veterans with Disabilities. 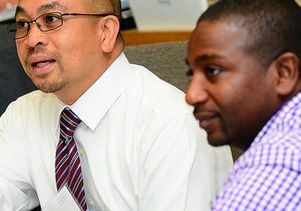 A partnership between UCLA Anderson’s Harold and Pauline Price Center for Entrepreneurial Studies and the Institute for Veterans and Military Families at Syracuse University, the program helps post-9/11 veterans with service-connected disabilities develop skills and tools needed to launch, grow and lead successful businesses. The three-phase program begins with a three-week online curriculum. By the time they arrive on campus, participants have already begun to shape business plans and learn the tools and language of business. The second phase is an intensive nine-day residency at UCLA Anderson, where participants learn the essentials of business ownership from Anderson faculty and established entrepreneurs. Following the residency, graduates receive access to year-long support and mentorship. This will be the eighth time Anderson has hosted the on-campus program, which runs through July 19. The program was launched at Syracuse University’s Whitman School of Management in 2007. Since the inaugural class, it has expanded to nine additional universities throughout the U.S., including UCLA. Assistance from the U.S. Small Business Administration, corporate partners and individual donors allows post-9/11 veterans and transitioning service members with service-connected disabilities to attend the program at no charge.